Quality Investment - Leased To Onesteel Thursday 21st February, 2.. Brand new lease Long term tenant in place 2,787m2 allotment 1,285m2 warehouse area 129m2 office / showroom area Excellent truck / container access 21 off street car parking spaces Low Impact Industry zoned approx Please contact the listing agent for more details by clicking on the link above. Disclaimer: Ray White has not independently checked any of the information we merely pass on. We make no comment on and give no warranty as to the accuracy of the information contained in this document which does not constitute all or any part of any offer or contract by the recipient. Prospective purchasers / lessees must rely on their own enquiries and should satisfy themselves as to the truth or accuracy of all information given by their own inspections, searches, inquiries, advices or as is otherwise necessary. No duty of care is assumed by Orchid Avenue Realty trading as Ray White Surfers Paradise Commercial divisions toward the recipient with regard to the use of this information and all information given is given without responsibility. This property is being sold without a price and therefore a price guide can not be provided. The website may have filtered the property into a price bracket for website functionality purposes. 1,200 m2 warehouse office split evenly Warehouse 1: 600 m2 warehouse office Large showroom / reception 1 large open plan office Full kitchen and meals area Male female toilet amenities 3 large offices on mezzanine 1 large fitted board room on mezzanine 1 toilet on mezzanine Ducted air conditioning Security system Warehouse 2: 600 m2 warehouse office Large showroom and reception Male female toilet amenities Full kitchen and meals area Large open plan office on mezzanine 1 toilet on mezzanine Site features: Large car park Fenced and gated complex on 2,000 m2 block 2 driveways Billboard sign fronting to Bruce Highway Selling Vacant Possession. Located in the tightly held Burpengary Industrial Precinct, securing offers to purchase on this 1200 m2 freestanding site today! Moments to Bruce Highway access north south bound, 40 minutes Brisbane CBD airports and 45 minutes Sunshine Coast. Call The Exclusive Commercial Guys today to book your inspection or for further information. Unless otherwise stated, the price/property may be subject to GST. 1,296m2 of freestanding concrete tilt panel warehouse buildings Fully fenced property of 2,010m2 land area with wide front gates Ideal for an owner occupier or an astute landlord investor Currently leased to three tenants on short term leases Includes 1,090m2 of warehouse areas with access via 6 roller doors Includes 206m2 of air conditioned offices over 2 levels in 60 Chetwynd St Two lunchrooms for staff in 60 Chetwynd St. 1 in the office and 1 in the warehouse No office area in 58 Chetwynd Street property Multiple 3 phase power points throughout warehouse areas Warehouse areas are up to 7.35m high and ceilings are insulated Male and female toilets in each of the 3 tenancies and a shower in 2 tenancies Room to place a 20ft or 40ft container for unloading / loading Situated very close to the M1 and Logan Motorways via exits 30 and 31 NBN is now in the street at the front of the property and ready to connect to Call agent to arrange an inspection All written offers will be presented to seller for consideration approx Please contact the listing agent for more details by clicking on the link above. Disclaimer: Ray White has not independently checked any of the information we merely pass on. We make no comment on and give no warranty as to the accuracy of the information contained in this document which does not constitute all or any part of any offer or contract by the recipient. Prospective purchasers / lessees must rely on their own enquiries and should satisfy themselves as to the truth or accuracy of all information given by their own inspections, searches, inquiries, advices or as is otherwise necessary. No duty of care is assumed by Orchid Avenue Realty trading as Ray White Surfers Paradise Commercial divisions toward the recipient with regard to the use of this information and all information given is given without responsibility. 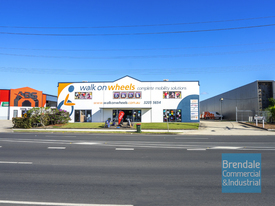 Located in Clontarf's industrial precinct, an opportunity to secure 5 industrial units! 969 m2 fenced and gated site 490 m2 total floor area across 2 industrial buildings Comprising 5 individual units: Unit 1 103 m2 warehouse fronting Storie St Unit 2 101 m2 warehouse Unit 3 96 m2 warehouse Unit 4 94 m2 warehouse Unit 5 96 m2 warehouse All units are currently tenanted Gross Annual income of $52,345^ Located on the Redcliffe Peninsula with ease of access to Deagon Deviation leading to Gateway Motorway M1 (Bruce Highway). 40 minutes to Brisbane CBD airports, 50 minutes to Sunshine Coast. Contact The Commercial Guys today to book your inspection or for further details. ^approx. High premium office / warehouse space with an APPROVED FIRST FLOOR RESIDENTIAL APARTMENT, located in the Bowen Hills Business Centre. An excellent location in one of Brisbane's busy inner North Suburbs ideally suited for all commercial businesses. 418m² Total area 154m² Ground floor office/showroom area 148m² Fully approved first floor residential apartment or Mezzanine office space 116m² Warehouse area with roller door access High quality fit out Amenities on each level Balcony views of Breakfast Creek 8 car parks Available Now! The property offers a corporate presence close to all public transport and all main Arterial Roads. For more information please call Richardson Wrench Commercial Brisbane North. Calling All Industrial Owner Occupiers Offers over $399,000 (GST..
Ray White Commercial North Coast Central is pleased to offer 9/116 Lipscombe Road, Deception Bay, for Sale. This industrial unit is a rare find and is not expected to last long on the market. Features include: 255m2 approx. 215m2 warehouse area Additional 40m2 of mezzanine 3 phase power Kitchenette with hot water system Disabled toilet facilities 2 Pack painted floors Container height electric roller door On site car parking Secure gated complex For further information or to arrange an inspection please contact exclusive Agent Chris Massie. 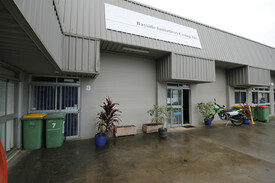 810 m2 low impact industry zoned land 650 m2 building with excellent fit out Comprising 232 m2 ground floor showroom/office, 151 m2 first floor office + 267 m2 industrial warehouse with mezzanine Fully air conditioned Alarm system and CCTV Container height roller door access for warehouse Only minutes away from Gympie Road, Airport Link Tunnel Chermside Shopping Centre Call The Commercial Guys today to book your inspection or for further information. Unless otherwise stated, the price/property may be subject to GST. Brand New Development In Yatala Units Starting from $220,..
100% Tenanted Retail Food Call Agent Today! 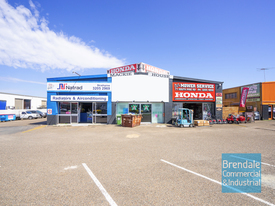 Freestanding 100% Tenanted Investment 1,133m2 corner allotment Zoned Suburban Neighbourhood Precinct 2 x freestanding buildings with total floor area of 209m2 Buildings comprising of 128m2 with drive thru and 81m2 takeaway/retail Net income $90,000 pa to local national tenant Tenancy Details Shop 1 Red Rooster 7 year lease commencing 2017 2 x 7 year options 3% annual increases Shop 2 Bribie Thai Food 2 year lease commencing 2018 4 x 3 year options 3% annual increases Don't miss this opportunity to secure this rare freestanding retail site on Bribie Island. This property is exposed to high traffic flow from locals and tourism being drawn from the beaches and nearby Sandstone Point Hotel. Approximately 1 hour to Brisbane CBD, airports and Sunshine Coast. Call The Commercial Guys today to book your inspection or for further information.